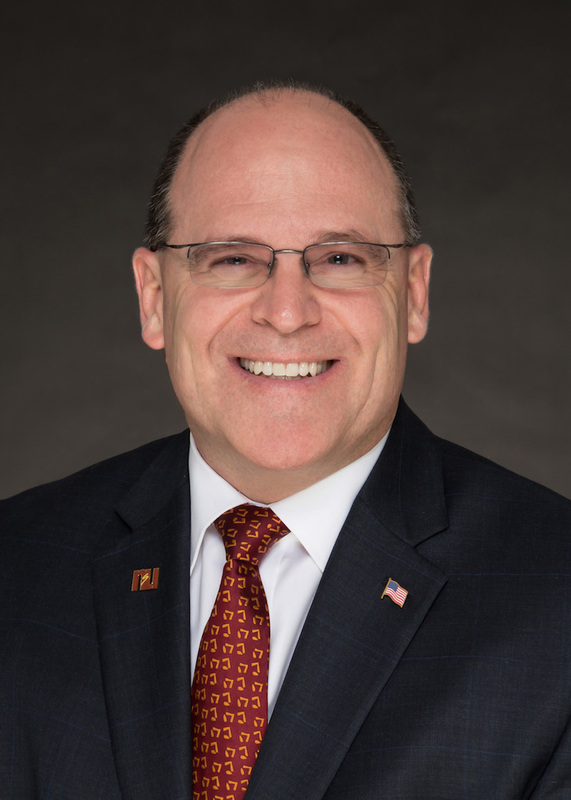 Dr. Timothy M. Downs is the 17th president of Northern State University. Now in his 31st year in higher education, Downs began his career as a professor and over time evolved into the administrative ranks spending time in California, Kansas, Pennsylvania and New York higher education institutions. Downs holds a Ph.D. in organizational communication from the University of Oklahoma; a master’s degree in communication studies from West Virginia University; and a B.A. degree, also in communication studies, from California State University, Sacramento. Downs is an active member in the community, currently serving on the Aberdeen Area Chamber of Commerce Board, the United Way of Northeastern South Dakota Board and the Aberdeen Family YMCA Board. He is a member of the Rotary Club and enjoys curling, hunting and golf with his wife, Mary Downs. Since being named Northern’s president in 2016, Downs has worked to redefine enrollments, update the university’s brand and marketing strategies, and spearhead the creation of a comprehensive campus master plan. In recent months, Northern has added or is in the process of constructing three new residence halls, the Regional Science Education Center, Athletic and Recreation Fields, and a potential regional sports complex. All of these efforts enhance the experience for current and future Northern students, while leading the university toward increased enrollment and impacting the economy of the Aberdeen and entire region. Oct. 2, 2018 - Dr. Timothy Downs was recognized by ASPIRE, the regional professional association of TRIO programs.